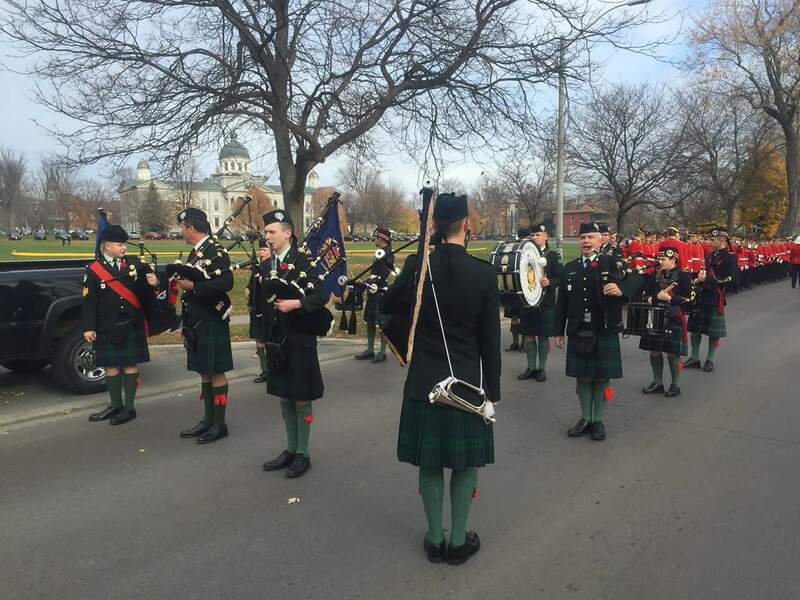 The Pipes & Drums of the Princess of Wales’ Own Regiment participates in many events throughout the year in Kingston and in the surrounding communities. 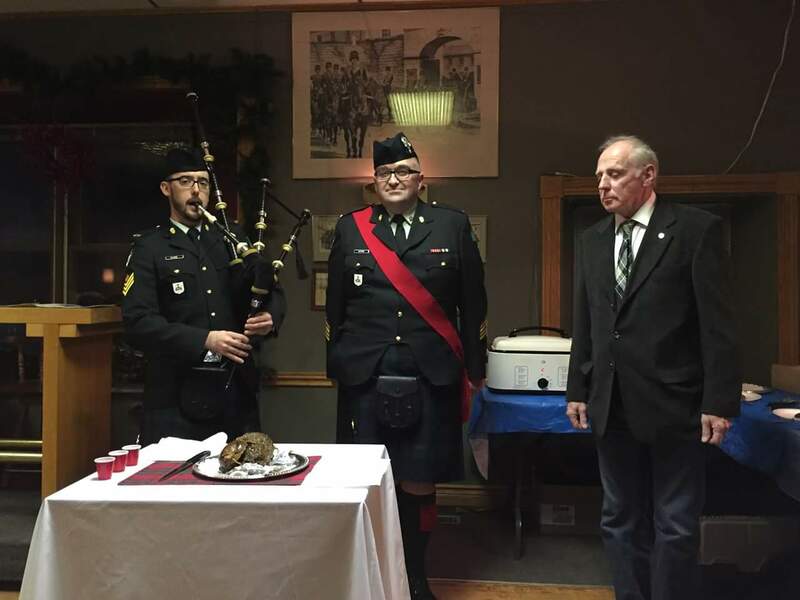 Wearing the Black Watch tartan, the Band serves the Regiment as well as the Kingston military and civilian community with honour, pride and dignity. 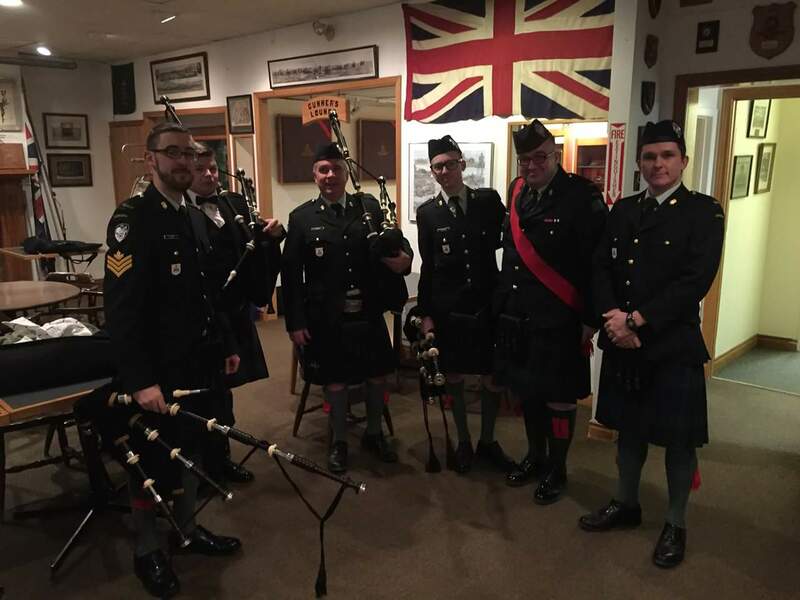 Below are some of the events and performances from the Band’s 2015 / 2016 season. 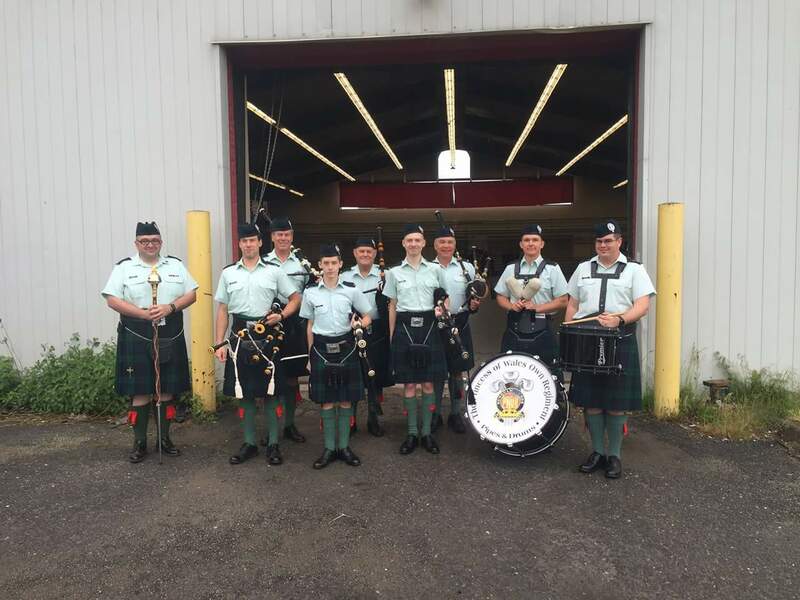 June 2016 – Thompson Drill Hall. 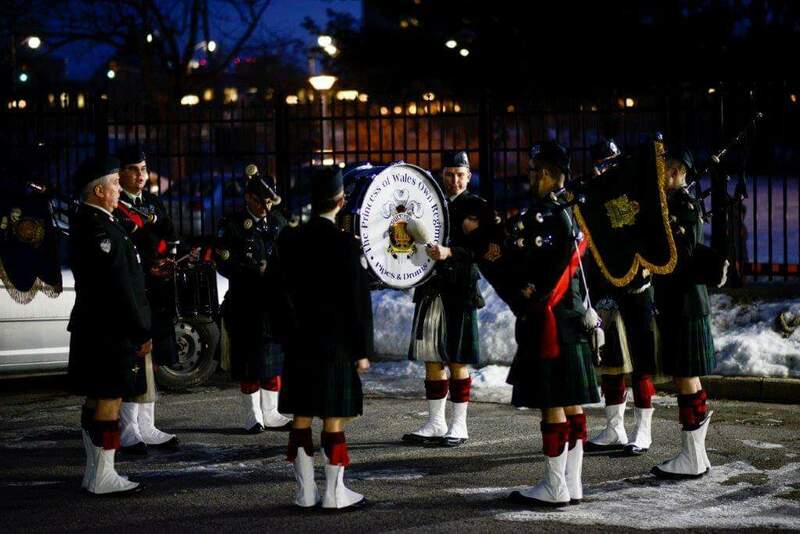 Performance at the French Embassy in Ottawa. 2016. 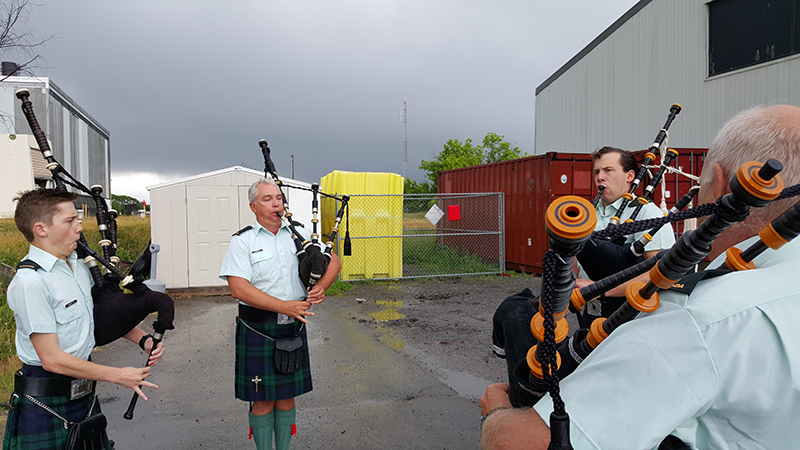 On 1 June, the two Honoraries briefed the Senior Regimental Colonel on the year’s activities. 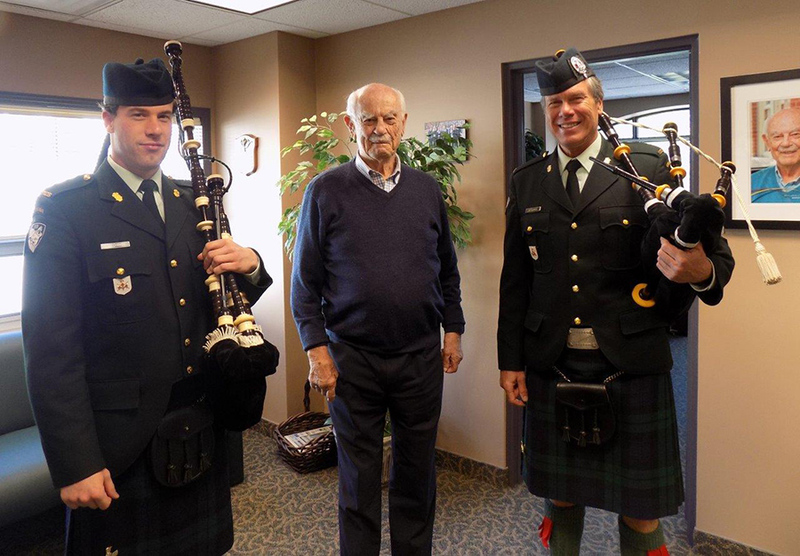 At the end of the briefing Col Smith was presented with a musical score written by Dr. Jim Finan, especially for Brit, which was played by Col Hutchings, Edward Hutchings and Kevin Orford. 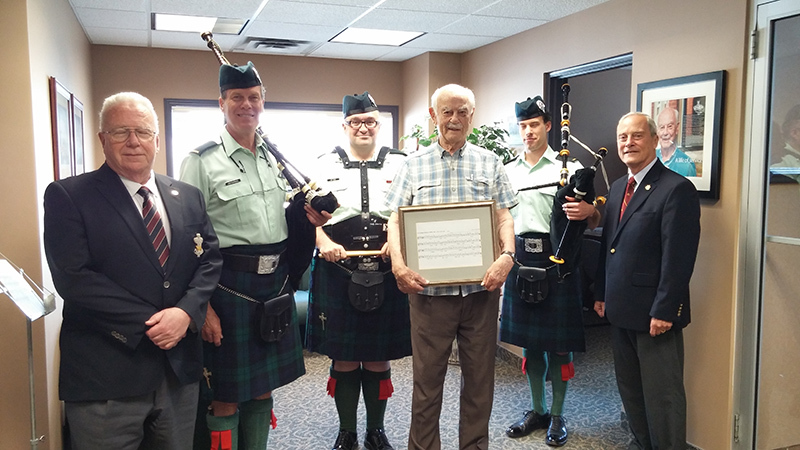 Pictured, from left to right: HCol Cowan, Col Hutchings, Kevin Orford, Col Smith, Edward Hutchings, and HLCol Jordan. 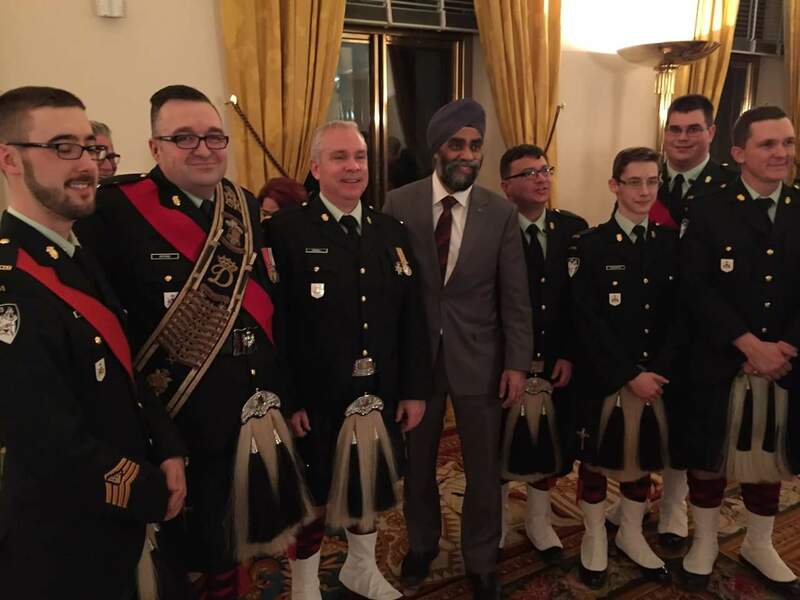 The PWOR Pipes and Drums were honoured to meet and perform for our National Defense Minister, Harjit Sajjan at the French Embassy in 2016.